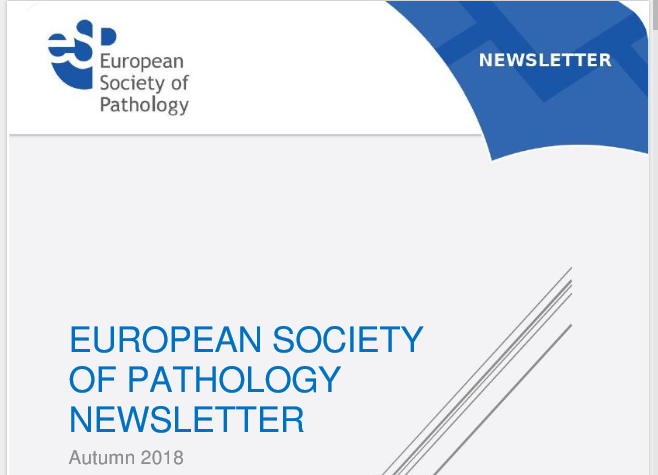 It is our great pleasure to present you the European Society of Pathology (ESP) Newsletter Autumn 2018 edition! Find out more about the very successful, well-attended 30th European Congress of Pathology in September 2018 that is behind us. Of course, various activities of the ESP, collaboration with other societies and the call for nomination of new members of the Council are among other interesting topics you will discover in this edition. Do let us know what you think about our Newsletter, and we will do our best to make the next edition even better.